A space for youth to explore the facts about human-made carbon emissions and get involved in projects for change. The primary purpose of CO2OPERATION is to provide youth with a space to expose the facts about human-made carbon emissions. The secondary, and more important, purpose is to provide an opportunity for people to be part of local and global solutions. Contact Us if you want to get involved in one of our projects or to start one of your own. Check out some of our projects in progress below. An operation is an event, a workshop, a project, a video, or anything that is related to carbon dioxide and climate change. 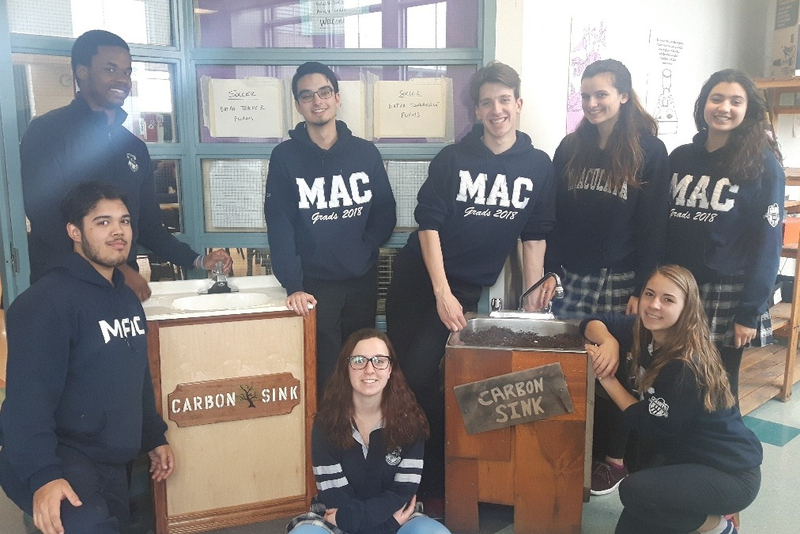 Immaculata High School students are growing plants in sinks that would have ended up in landfill sites and are giving them a renewed purpose. Read more about how these students are building actual “carbon sinks” to remove carbon dioxide (CO2) from the atmosphere. CO2operation.ca Exploring carbon dioxide and climate change. Events, workshops, projects, videos - anything that is related to carbon dioxide and climate change.